Rob Morgan, bestselling author of Then My Soul Sings, explores the rich meaning behind the world’s best-known and most-loved poem—Psalm 23. These are the opening lines to one of the most memorized, inspirational, and comforting passages in the Bible—and one of the greatest poems of all time. In six verses, it provides a microcosm of God’s grace. When anxiety robs us of sleep, our most powerful “tranquilizer” is Psalm 23. It’s a soul-soother. It appears in the middle of a trilogy of psalms dealing with our past, our present, and our future needs. 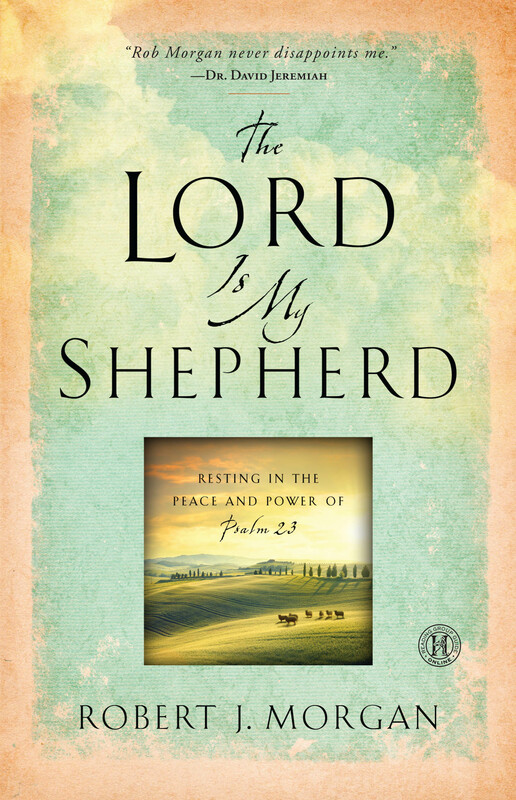 In The Lord is My Shepherd, Morgan teaches Psalm 23 verse-by-verse, explaining its extraordinary power to change lives and ease our troubles. He shares its fascinating context and colorful background, as well as his own charming, real-life stories of herding sheep. You’ll find encouragement to enjoy the “green pastures” of life while becoming strengthened by the “dark valleys.” Furthermore, Morgan maintains that some of the Bible’s richest truths are summarized in these six simple verses of Psalm 23. In knowing the Good Shepherd, we have total resources for all our internal, external, and eternal needs. Through this clear explanation of the biblical text and great stories that illustrate the love and care of the shepherd, The Lord is My Shepherd will help you rediscover the joy, inspiration, and peace in the green pastures of this beloved psalm. This reading group guide for The Lord Is My Shepherd: Practicing the Peace and Power of Psalm 23 includes an introduction, discussion questions, and ideas for enhancing your book clubThe suggested questions are intended to help your reading group find new and interesting angles and topics for your discussion. We hope that these ideas will enrich your conversation and increase your enjoyment of the book. In his book, The Lord Is My Shepherd: Practicing the Peace and Power of Psalm 23, Rob Morgan reflects on the specific ways that this psalm speaks to our lives today. While most people express a deep longing for peace, the distractions and busyness of life often make true peace seem like an illusive goal. Through his years of experience as a shepherd, both with sheep and people, Rob Morgan provides a personal look at this beloved psalm and provides context and commentary on the richness of King David’s timeless words. 1. What is the first word that comes to your mind when you think of Psalm 23? What has this psalm meant to you in your life? Has there been a specific season of your life when it had special significance? If so, describe. 2. Have you ever owned sheep or known someone who did? Based on your own experience or the reflections of the author, what words would you use to describe sheep? In what ways do you relate to qualities of sheep as a child of God? 3. In the introduction, the author recounts the story of Maurice Pink’s encounter with Psalm 23 as he treaded water in the South China Sea. Pink says: “There are times in your life when things don’t go right and you feel all alone.” (p. 13) Has there been a time in your life when you felt all alone? Was there a scripture passage that you clung to in the midst of that season? If so, how did it influence your state of mind/well-being? 4. What is your favorite section of Psalm 23 and why? When you read the author’s reflections on that section of the psalm, were there any new insights or encouragements you received? 5. On page 47, the author quotes the Living Bible’s paraphrase of the first verse of Psalm 23: “Because the Lord is my Shepherd, I have everything I need.” What is your response to this verse? How does it encourage or challenge you? 6. What is your first instinct when you face seemingly overwhelming need, either in your own life or in the world around you? On pp. 63-65, the author relays two stories in which needs were miraculously provided. What is your response to these stories? Has reading this book impacted how you respond to the needs in your life? 7. One of the observations the author makes about sheep is that they don’t run very much and that they prefer a tranquil life. Do you prefer busyness or tranquility? What is it like for you to spend time alone with God or to be still? When you read the verse, “He makes me lie down in green pastures, He leads me beside still waters,” what do you find yourself wanting? 8. In chapter 5, the author describes God’s restoration of our souls from sin, stress and sorrow. Which one of these weighs most heavily on you right now? How did the reflections of this chapter speak to your specific burden? 9. On pp. 103-111, the author describes seven principles for being led by the Good Shepherd in decision-making. Which of these comes most easily to you when you are facing a decision? With which do you struggle most? 10. On pp. 120-121, the author highlights the word “shadow” in the verse, “Yea, though I walk through the valley of the shadow of death…” How does highlighting this word impact your reading of this verse? 2. On p. 152, the author recounts advice he gave a young man entering the ministry: “Always remember that ministry is overflow.” How does this statement impact you as you think about your life? What is flowing out of your life with God to pour out into your relationships and the work before you each day? Are there changes you want to make to enhance the flow of His Spirit’s life into your soul? 13. In the verse, “Surely goodness and mercy shall follow me all the days of my life,” the author explains that the word “follow” is usually translated “pursued,” “chased,” or “hunted.” How does the idea of being pursued by God’s goodness and mercy compare to the image you have of God’s posture toward you? 14. What story or reflection from the book stands out in your mind the most? How did it expand or transform your understanding of Psalm 23? 1. If geography allows, visit a farm or ranch where sheep are tended. If not, check out a book or video from your library about sheep. Make a list of qualities you observe about sheep that are relevant to your life as a child of God. Discuss at your next book club. 2. Write a paraphrase of Psalm 23, personalizing it to reflect the unique ways God has cared for and tended you. Discuss what this experience was like at your next book club. 3. Research the possibilities for directed silent retreats in your area (monasteries, retreat centers, etc.) and schedule a weekend retreat. If a weekend retreat isn’t an option, consider taking a weekend day of solitude at an area park or lake. Take only a journal and a copy of Psalm 23 with you for the time. Immerse yourself in the psalm and invite God to speak to your specific life needs and circumstances as you open up the space to fully be with Him. 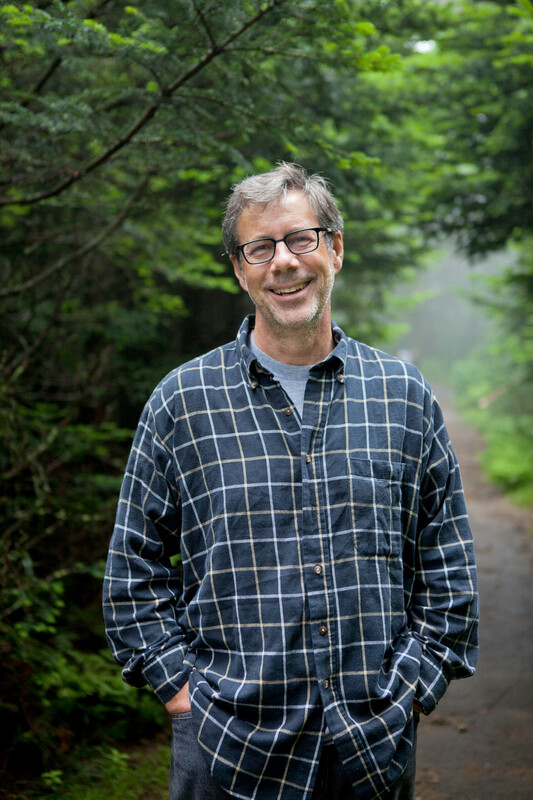 Rob J. Morgan is the pastor of The Donelson Fellowship in Nashville, Tennessee, where he has served for thirty-three years. He has authored more than twenty books, including The Lord Is My Shepherd, The Red Sea Rules, and Then Sings My Soul. He conducts Bible conferences, family retreats, and leadership seminars across the country. He and his wife, Katrina, live in Nashville. His website is RobertJMorgan.com. – Reese Kauffman, president, Child Evangelism Fellowship, Inc.